Every song starts easy, then gets hard. Bel canto operas divide up into individual numbers: arias, duets, choruses, the Lucia sextet. And each of these pieces follows the same pattern: we start with a catchy melody, usually something that’s so easy to sing all of us in the audience COULD sing it if we tried. (Often you’ll hear the tune played first by a soloist in the orchestra; then a pause; then the singer starts in with it.) Each tune is organized as what musicologists like to call a “Four-Limbed Melody”, as in the melody has four parts (“Happy Birthday” is a simple example). But as they develop the tune, and repeat it, and head for the climax, the singer inevitably gets to what I like to call the “Don’t Try This At Home, Folks” kind of singing. Bel canto singers must be able to sing across an extreme range, to trill, to run up and down scales (without letting the notes slide into each other or get garbled), and to execute other feats of ‘coloratura.’ Very often, at the end of your number, as the final cadence (musical completion) is happening, you hit a high note, either on the dominant or the tonic harmony, to win a few extra bravos from the audience. Above examples, from Bellini's I puritani (beginning of "Ah, per sempre") and La sonnambula (end of "Vi ravviso"). 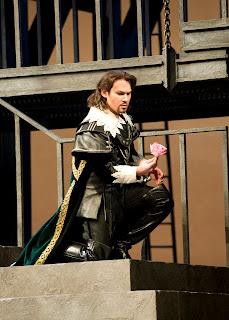 Mariusz Kwiecien, below, sang "Ah, per sempre" in Seattle Opera's 2008 I puritani (Rozarii Lynch, photo). Listen for the ‘color’ of each voice at the performance you attend. Every singer’s voice is like a fingerprint; it's a unique sound that that singer alone can make. It can be hard to describe a singer’s vocal color in words without sounding like a wine connoisseur (you know, “This voice has warm layers of fruity complexity, oak-influenced spice and a velvety finish”.) But that is how it works. We like to talk about the “3 o’clock in the morning voice”--a voice so unique, so full of character, that if you woke an opera fan up at 3 in the morning and played them a recording, even half-asleep they’d know who it is. It’s the infinite variety of vocal color that keeps many of us going back to hear the same operas over and over again; each time, the same music sounds different because the voice is so different. 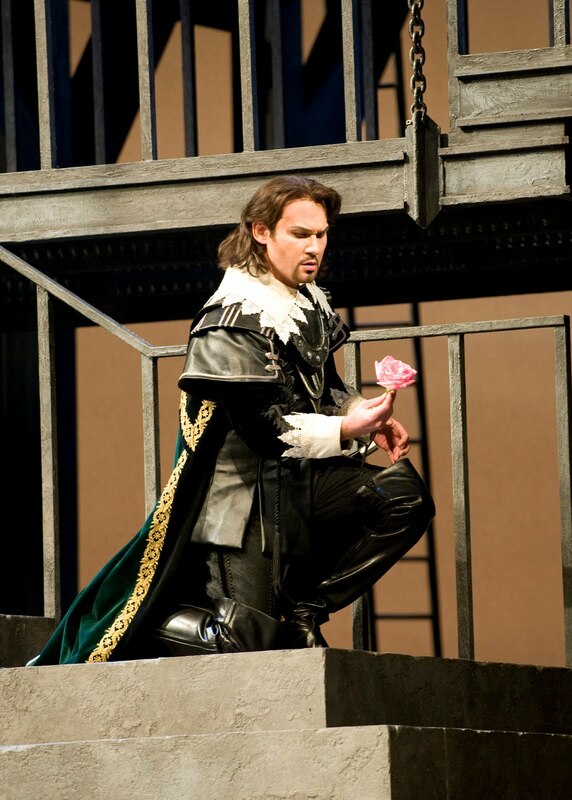 Lawrence Brownlee as Lindoro in Seattle Opera's 2006 Italiana in Algeri (Rozarii Lynch photo). Everybody likes to take cheap shots at the plots of bel canto operas. But that misses the point; bel canto libretto were not supposed to be coherent dramas, great literary masterpieces, they were supposed to house good song lyrics. What that means, in terms of listening, is that it’s not enough for a singer to have an interesting color to their voice; the essence of their artistry is the ability to color the words they’re singing with the appropriate emotion. When the character is going on about love (listen for “amor” in Italian, it rhymes with “un fior,” a flower, and “il mio cor,” my heart), they may focus all the beauty and seduction they are capable of into their voice. If the character is about to commit suicide, you can expect to hear despair, rage, sadness, etc. in the way they color the words. What distinguishes a great opera singer from one who merely has a lovely voice is that the great singer is constantly using voice to express words and character. It’s about the singing (not the playing). Although the orchestra is important in all opera, in the Italian bel canto tradition they spend more of their time functioning as accompaniment, musical wallpaper to set off the showcase voices of the bel canto singers. You’ll often hear them playing little repetitive rhythmic patterns over and over, playing very lightly so the singer’s voice can be heard, and (in the recitative) playing unpredictable chords, swirls, snarls, and “ta-das” to punctuate the important lines of dialogue. EXCEPTION: Donizetti wrote Lucia at a time when the orchestra was starting to play a bigger role. You’ll hear a great prelude, immense solos for harp and flute, and occasional comments or tunes coming up from the pit. And The Barber of Seville features a famous, unforgettable whirligig overture and a great “Storm” interlude. 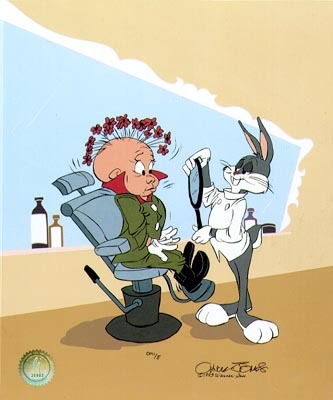 You can hear the Overture to Rossini's Barber of Seville throughout the great Chuck Jones cartoon The Rabbit of Seville. There are lots of pre-set musical structures in bel canto operas: cavatinas and cabalettas, raccontos and parlandos, tempos di mezzo and strettas. These conventional structures streamlined the process of creating new operas--important in an industry which, in early nineteenth-century Italy, was as busy as today’s TV industry--and help direct the audience’s ears. You should expect the opera to open with a chorus, who always function as a warm-up act; the diva always enters about fifteen minutes into the show, to sing her grand scena or double aria (a cavatina, featuring a beautiful improvised cadenza at the end, followed by a peppier cabaletta); and there’s always a great concertante at some point, a huge ensemble that involves everybody in the cast. 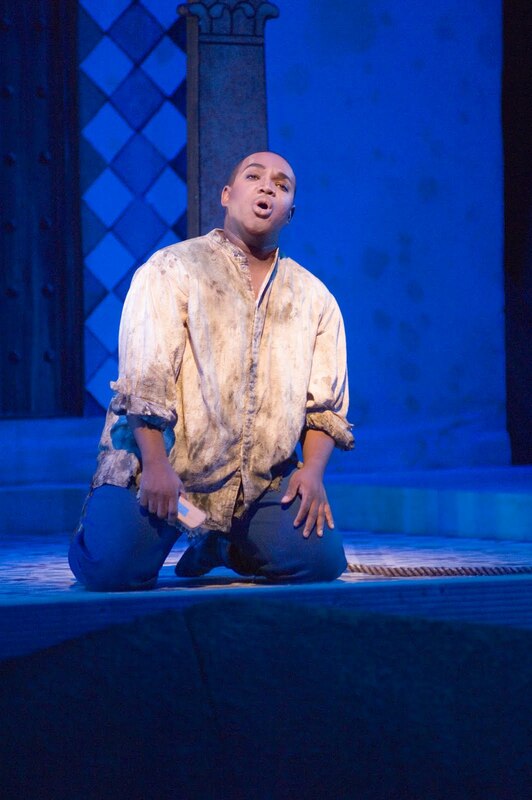 To learn more about the traditional structures in Lucia and Barbiere, look at Seattle Opera's Spotlight Guides for those two operas and pay careful attention to the pages about music at the back of each. 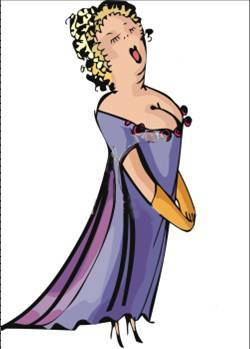 To learn how to write your own bel canto opera, look at pages 26-27 in last season's Verdi Spotlight Guide. for the very best explanation of "bel canto" I have EVER read!!!! It is soooo well-written that even the novice opera-goer should be able to understand it (partly through your excellent examples), and someone who has been going to operas for the last 63 years also finds something new and knowable in it!!! You should write the ultimate guide to opera; it would be a best-seller based on content and style!!! you mention that people like to take "cheap shots" at bel canto plots. Actually, the plot of "Lucia" is very believable and (nfortunately!!) also contemporary. In some cultures, we still have arranged marriages in which a woman is married off to someone she does not love and would probably like to kill, especially if this means she can't spend the rest of her life with the man she really and passionately loves -- and then goes mad when that becomes impossible. So, opera-lovers, let your imagination run loose when atending "Lucia" and, despite costumes and statements of "when and where" the action takes place, assume it is taking place today in a land where such events DO actually take place today! !